Bio-Vet produces innovative direct fed microbial products as key components of a complete animal nutrition and health. They offer a complete line of capsules, pastes, soluble powders, and daily feed additives, among others. 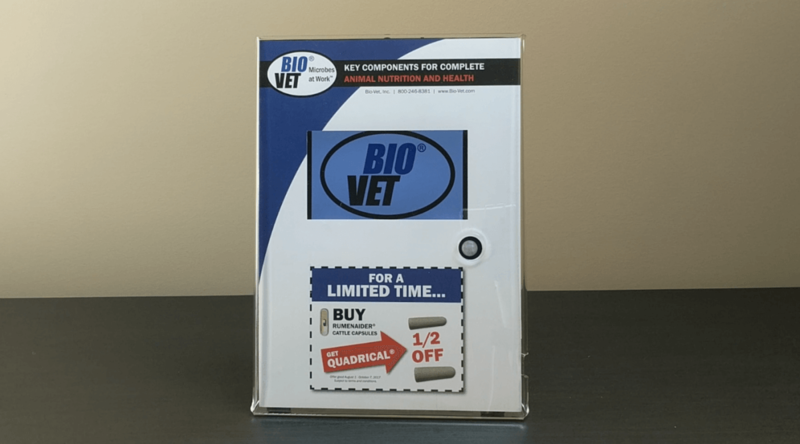 Bio-Vet announces a sale using bigDAWGS’ Custom In-Store Video Display. For a limited time only, QuadriCal is 50% off if you buy a Rumenaider Cattle Capsule. This offer is only valid from August 1 to October 7, 2017. Visit bio-vet.com for more information!